Consumers today are bombarded by more daily advertising messages than at any point in history. Demonstrated by the Superbowl, watching ads is now a pastime unto itself. What consumers do not realize is that there are psychological tactics that are the invisible arrows in an advertiser's quiver. In this post, we'll discuss the power concept of anchoring bias on human behavior. Psychological Anchoring is a term used to describe the human tendency to rely too heavily on one trait or piece of information when making decisions. In the 1974 paper "Judgment Under Uncertainty: Heuristics And Biases," Kahneman and Tversky conducted a study where a wheel containing the numbers 1 through 100 was spun. Subjects were asked whether the percentage of U.N. membership accounted for by African countries was higher or lower than the number on the wheel. Afterward, the subjects were asked to give an estimate. Tversky and Kahneman found that the anchoring value of the number on the wheel had a pronounced effect on the answers the subjects provided. When the wheel landed on 10, the average estimate given by the subjects was 25%. When the wheel landed on 60, the average estimate was 45%. The random number had an "anchoring" effect, pulling subjects' estimates closer to the number they were shown even though the number had zero correlation to the question. Similar psychological patterns affect nearly all consumers and are seen across varied industries. Anchoring is most often evident when consumers lack solid evidence or knowledge. Anchoring is notably prevalent when people are dealing with new concepts. The anchor is also often the first piece or the most recent piece of information received, which shades decisions that follow. Under President George W. Bush's second and Barack Obama's first terms, we observed similar trends in gas price-per-gallon. Beginning around $1.85 per gallon, prices began to climb. Consumers had grown accustomed to low gas prices and anchored mentally at the sub-$2-per-gallon rates. As prices crept toward $3-per-gallon, consumer sentiment was mostly negative. When prices settled above the $3 threshold, consumers reset their psychological anchors. As prices declined toward $2.50 per gallon, consumer sentiment was largely positive. In one scenario, consumers begrudgingly paid $2.50 per gallon. In another, they happily paid $2.50 per gallon. The price was less of a factor on willingness/happiness-to-pay than the context in relation to the anchor. Have you ever added your name to a restaurant waiting list, been told the wait was 30 minutes and ended up waiting longer? Imagine two parties visiting a restaurant that is running a 15-minute wait time for seating. In scenario 1, the host tells the customer their wait will be 15 minutes. In scenario 2, the host tells the customer their wait will be 30 minutes. In both, the time for seating begins to approach 25 minutes. In all likelihood, the party who was told 15 minutes has been waiting in frustration, checking their watch, and perhaps awaiting an opportunity to voice frustration. Meanwhile, the second party heads to their table, pleased that their wait was 5 minutes shorter than expected. Perhaps one of the best examples of the anchoring effect is Black Friday. Shoppers pour over endless sales ads, map their shopping routes and time their visits all for the chance to receive steep discounts. Although there are occasional genuine loss leaders, much of the value that customers perceive is based on little more than anchoring. Sales ads tell you what a new TV should cost and offer it to you at a deep discount. Of course, your mind is taking a mental shortcut by taking their word for how much that TV was originally worth. My personal interest in anchoring began with price psychology. Visit most stores and you will see prices ending in a 9. Thanks to neuropsychological data, marketers know that a vase priced at $39 versus $40 is not merely perceived as $1 cheaper, it is perceived as $10 cheaper. This tactic has been dubbed charm pricing. In the book "Priceless" William Poundstone dissected 8 studies on the use of charm prices and found that on average they increased sales by 24%. Does anything perform better than the number 9? If the number 9 performs so well, is there anything that is more powerful than "charm prices?" In an experiment tested by MIT and the University of Chicago, a standard women’s clothing item was tested at $34, $39 and $44. Researchers expected the item to sell best at the cheapest price. However, the item sold best at $39. Why? At the $39 price point, researchers included an anchor price. Researchers have found that sales prices indicating an anchor price seem to beat the number 9 when split tested. You can see the same effect in salary negotiations. There’s some evidence that when the initial anchor figure is set high, the final negotiated amount will usually be higher (Thorsteinson, 2011). Incidentally, the anchoring effect is another reason it is advisable to open negotiations rather than waiting for the employer to tell you the range. You are able to set the anchor higher. Since the anchoring effect occurs in so many situations, no one theory has fully explained it. There is a modern favorite for explaining the anchoring effect in decision-making. It is thought to stem from the tendency to look for confirmation of things we are unsure of. Studies suggest that even when you know about anchoring and are forewarned, the effect can still affect your judgement. It just shows the power that the first piece of information has on how we make decisions in all facets of life. Join the 3000+ people who receive our newsletter. 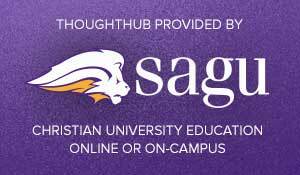 *ThoughtHub is provided by SAGU, a private Christian university offering more than 60 Christ-centered academic programs - associates, bachelor's and master's and doctorate degrees in liberal arts and Bible and church ministries. You love knowledge. Interested in a degree?